In most cases, a team’s bye week is used for one of two purposes: healing up a bruised team or soul-searching for how to help a battered team. 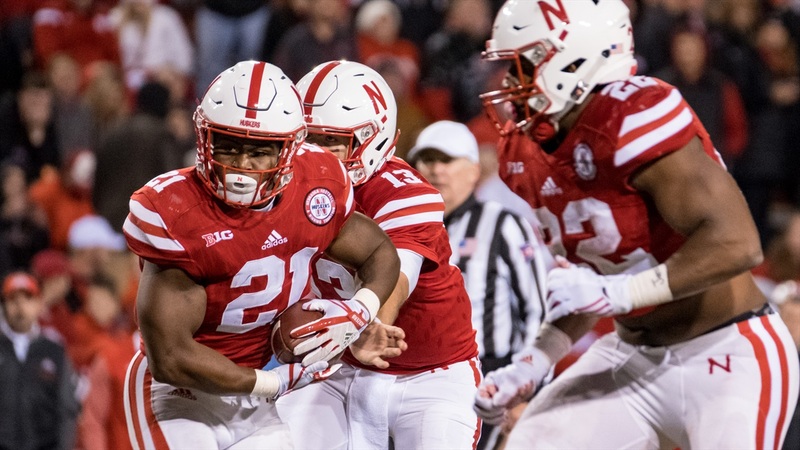 Nebraska entered its bye week needing a little of both after dealing with injuries to key players for most of the season and being outscored 94-31 against Wisconsin and Ohio State in two home blowouts. The Huskers didn’t exactly get healthier, though, with staple linebackers Luke Gifford and Dedrick Young II earning “questionable to play” status and running back Tre Bryant being officially shut down for the season. Instead, head coach Mike Riley looked at where his team is, where he thought they would be and where they have to go. The takeaway: Nebraska needs to be better in its ground game. That’s not really earth-shattering news as the Huskers were ineffective on the ground against Ohio State on Oct. 14 (2.8 yards per carry) and shown how it should be done against Wisconsin on Oct. 7 (49 carries for 353 yards by the Badgers). “What we have to do with the offense, which, a lot of that is triggered by how the offensive line plays, is if we can run the ball better than we have been and continue to improve at protecting our quarterback, then those two things will mean a lot to us as we go forward,” Riley said. Riley announced the official loss of Bryant – who hasn’t played since the Oregon game on Sep. 9 – which makes being effective on the ground that much more difficult considering Bryant won the job outright before the season and then ripped off 192 yards in the opener, but Riley said he has been and is still confident in juniors Devine Ozigbo and Mikale Wilbon, as well as freshman Jaylin Bradley, to carry the load. Riley admitted that heading into the season, he expected this team to be a little bit better at this point offensively than they currently are. Nebraska currently ranks No. 85 in scoring offense (25.9), No. 99 in rushing yards per game (133.57) and tied for No. 81 in yards per carry (4.07). Those are numbers Riley doesn’t want to see. Those are numbers he hoped would be better. But, Riley acknowledged that this season hasn’t felt like a typical year three when you’ve got your feet under you as a coach and you’re trying to make progress. It’s felt much different. I don’t have any excuses for it, we should and could be better. It doesn’t have to look like this. We just have to, now with what we see, take a realistic look at where we can go to help our team. When asked if he wishes he had conveyed that thinking before the season – that 2017 wouldn’t be as “rosy” as 2016 – he said no. “I don’t ever look at a year like that,” he said. “I don’t want to ever message that to our fans, which is like telling your team that. That doesn’t make any sense whatsoever. I don’t have any excuses for it, we should and could be better. It doesn’t have to look like this. We just have to, now with what we see, take a realistic look at where we can go to help our team. >> On the injury front, Riley said the Huskers are progressing. Safeties Antonio Reed (hand), Aaron Williams (neck) and Joshua Kalu (hamstring) are all expected to practice this week. Wide receivers Stanley Morgan Jr. (hip) and JD Spielman (shoulder) were held out from practice last week but are expected to also be full participants as the team gets ready for Purdue. Riley said Gifford’s hip is bothering him and he “[doesn’t] know what his status will be going forward.” As for Young, Riley said the Huskers’ medical staff discovered the plate that had been inserted into the linebacker’s wrist had been “misplaced” and so it had to be re-done. “I don’t know if he’ll be able to recover enough to be a player on Saturday night,” Riley said. >> During his free time last week, Riley caught up with a few quarterback recruits he has been keeping an eye on, saying the team’s plan to pass on a quarterback this cycle has been re-evaluated. >> With right tackle Matt Farniok progressing from a broken bone in his wrist, Riley said the coaching staff wants to get Farniok back into action any way they can. The redshirt freshman hasn’t played since being injured against Northern Illinois on Sep. 16, and has been replaced with true freshman Brenden Jaimes. Jaimes appears to have won the right tackle job from senior David Knevel, but Riley said Farniok has gotten looks at guard. >> Going along with the theme of the day, Riley said the tight end position hasn’t been what he expected this season for the Huskers. When asked if underclassmen would get some looks moving forward, Riley praised freshmen Austin Allen and Kurt Rafdal, but said their redshirts won’t be getting burned any time soon.